Home › Pokemon Go › What is the Timer on the Upper Right of Pokemon Go? What is the Timer on the Upper Right of Pokemon Go? 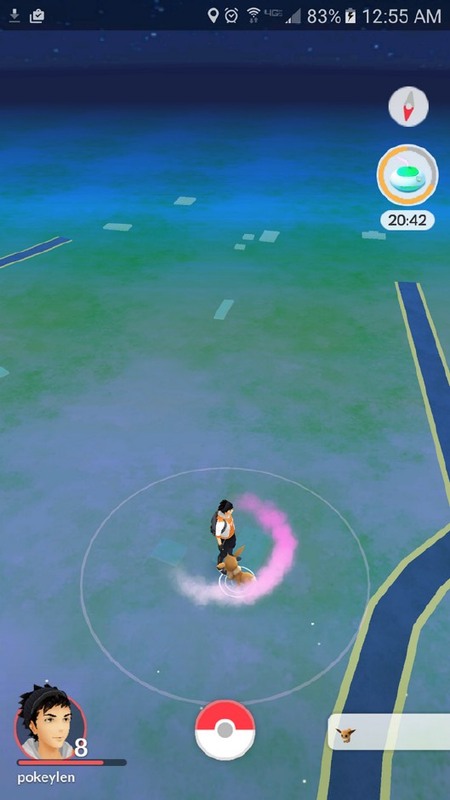 The other day, someone sent us a screenshot of Pokemon Go in which there was a timer on the upper right hand side of the screen, just below the compass. New users to Pokemon Go might not know what this is. This is the timer counting down how long incense will last to bring Pokemon to where you are. New users are going to find 30 minute incense. If you live in a very rural area where there are no Pokestops or gyms you may find that it is very difficult to level up or get any use of the game. You can put out some incense and it will bring the Pokemon characters to you. The only problem with doing this is you must stay in the game for 30 minutes while the incense is out or you will miss out on the Pokemon characters that are attracted to the incense. Can a Business or Person Own or Create a Pokestop or Gym? | How Many Pokemon Animals Come During 30 Minutes of Incense?